Input tax – GST that incur to business on the purchases of goods and services as part of its operations. Output tax – GST that a business charges on the taxable goods and services that it supplies in the course of business. Standard-rated supplies – taxable supply of goods and services that are subject to a standard rate. In Malaysia, the standard rate is 4%. A taxable business can claim input tax credit on its business inputs in making taxable supplies. Zero-rated supplies – taxable supplies that are subject to a zero rate. Although no GST is imposed on these supplies, a taxable business can claim input tax credit on its business inputs in making taxable supplies. 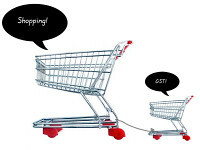 Exempt supplies – not subjected to GST. Suppliers of exempt supplies cannot claim the GST incurred on business inputs.